Great to meet you. Enjoyed your design conscious presentation, your light hearted, but thought provoking style even more. Will be investigating David D. Thornburg Ph.D.'s 'Campfires in Cyberspace' in the not too distant future. Thanks Kristian, it was great to meet you to. You are far too kind but I am glad you enjoyed it. I learned a lot during the day and met some great people. Enjoy 'Campfires', it's very interesting. My interest in learning spaces was sparked by Prof. Sugata Mitra's 'Hole in the Wall presentation at #mootuk10. It was great to meet you on Saturday. Hope we can keep in touch. I would like to ask you to do a presentation at our teachers conference in January. We have media teachers who would love to meet and share with you. I also found Professor Mitra inspiring at Moodle Moot'10. Awesome! It was very nice to meet you to. I would be more than happy to come and present at your conference. Please send me an email with the details. The sooner I know a time and date the easier it will be to get the time booked off from school. You can use my contact page underneath my blog header if you wish. Could you also give me some idea of what you would like me to present on. I'm happy to do something Moodle related but I also do a lot of video work in Adobe Premiere Pro; still image work in Photoshop; and audio based work including podcasting. You can get a good idea of the sort of things that I do on this blog – have a look through the archive. As well as this blog I keep a Media department blog here: http://chalfontmediablog.blogspot.com which i am sure the Media teachers at your school will find of interest. I teach GCSE and A-Level Media, Level 2 Creative Media Diploma, and GCSE English. I enjoyed the presentation and the post. Thank you for making the video and session slides available for those who weren't able to attend. Very Well-done. Hi, yes, i'll email and pass on your media blog – thanks a lot, James! James, can we establish email contact – would you still be interested in attending out conference? Presenting, I hope? My email is bgardner@studygroup.com please send me a quick message and I’ll fill you in! All the best for the new term! 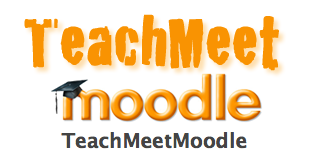 Which brings me back to the Schools question – although an increasing number of schools use Moodle, a decreasing number, it seems, are sending delegates to the Moodle Moot Moodle Consulting.